If you already own the “Smoke Eater” firefighter sculpture, now you can add the diorama base! 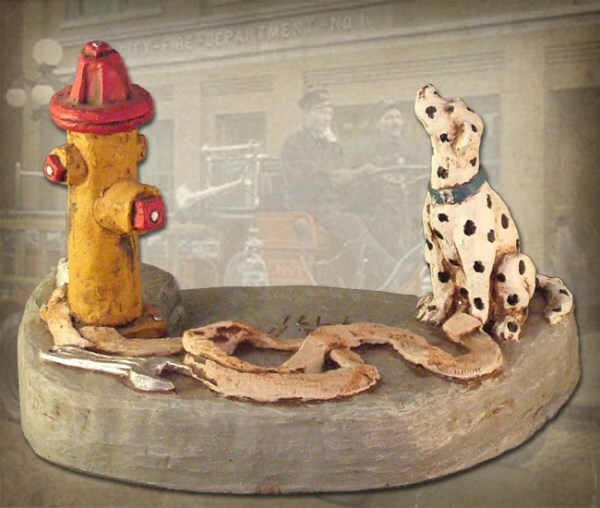 This custom base features a fire hydrant and “Sparky”, our faithful dalmatian. Base fits “Smoke Eater” sculpture only. Base only measures 5″ x 7.5″ x 5.5″. ©1991. Handpainted finish. Firefighter sculpture sold separately. #MG523.